I discovered the coolest thing the other day. While grabbing a cup of coffee with a friend and fellow physical educator, I realized he had become my mentor. Our friendship has been deep rooted as of late due to our shared passions of both Phys.Ed and healthy living. However, this still remained a revolutionary concept for me to grasp. My best friend is one of my mentors! Having a mentor both professionally and personally may be one of the most enlightening tools you can carry throughout your career and in your life. Sometimes an objective, no biased opinion from a trusted, valid source is the greatest way for you to move forward in your business, education and lifestyle habits. Mentors are not just "friends" who share laughs with you on a Saturday evening (although that is awesome!). Mentors are fundamentally different, yet mutually exclusive to an extent. A true mentor is someone who can make you a better person through challenging you to do more. For example, a mentor can be someone who sees a quality within you and asks you the right questions to allow you to subjectively see the strength of the quality you possess. 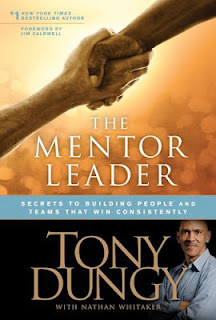 A mentor also has the ability to get to the point and help you figure out how/where you should make changes within your life to allow for future success. They broaden your horizons, challenge your insecurities to the point of necessary discomfort and extend your limits. Mentors are not like car salesmen (although somehow they could co-exist....). A car salesman dresses up in a suit, smiles as soon as they see you and tell you what you want to hear in the hopes of selling a car. Basically, they sell cars. Mentors are often not found in a suit, they shake your hand or hug you with a sincere hug/firm handshake and they oftentimes do not tell you what you want to hear. They tell you what you NEED to hear. Basically, they help you sell yourself for what you're worth. They often do not sugar coat weaknesses, instead they highlight them and help you succeed in strengthening them. I encourage you all to think about selecting mentors in your life who can help you when you least expect it and when you need it the most. Hang onto those mentors when you find them! Take care of them and treat them with upmost respect. After all, a mentor may be the difference that keeps you from falling between the cracks and succeeding in the highest form within your profession while simultaneously improving your quality of life!